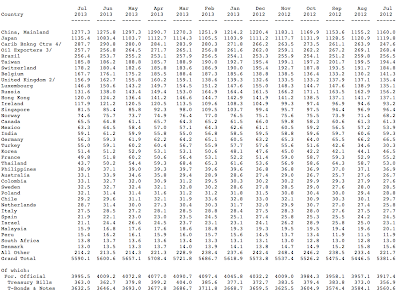 With the critical phase of the debt ceiling negotiations about to take place, I wanted to take a look at who currently holds America's federal debt, particularly foreign owners, and how their ownership levels have changed with time. 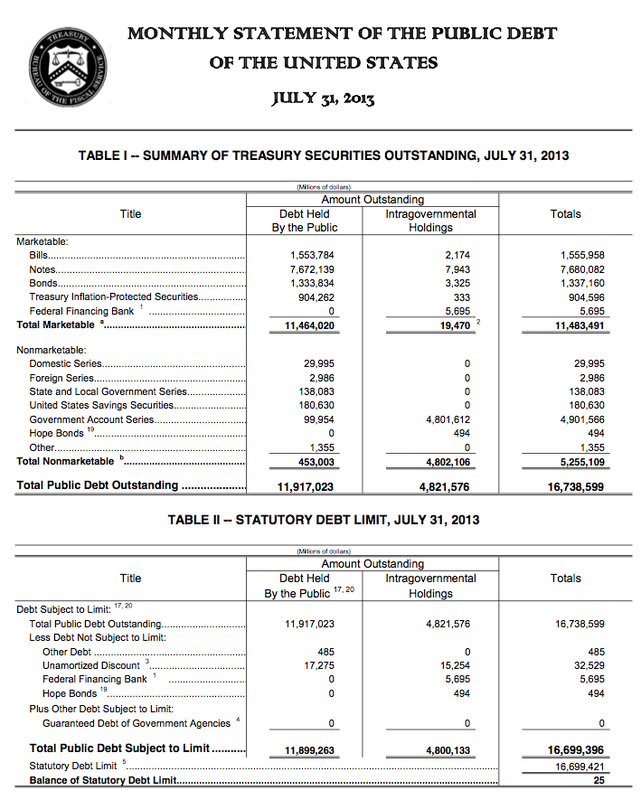 This means that 48.7 percent of all marketable U.S. federal government debt is foreign-owned. 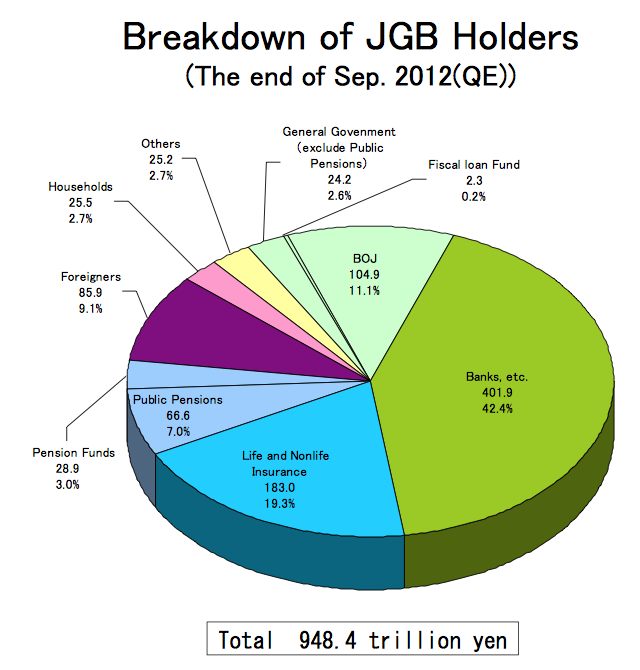 China and Japan are the number one and two holders with China holding $1.277 trillion worth of Treasuries and Japan holding $1.135 trillion worth of Treasuries. 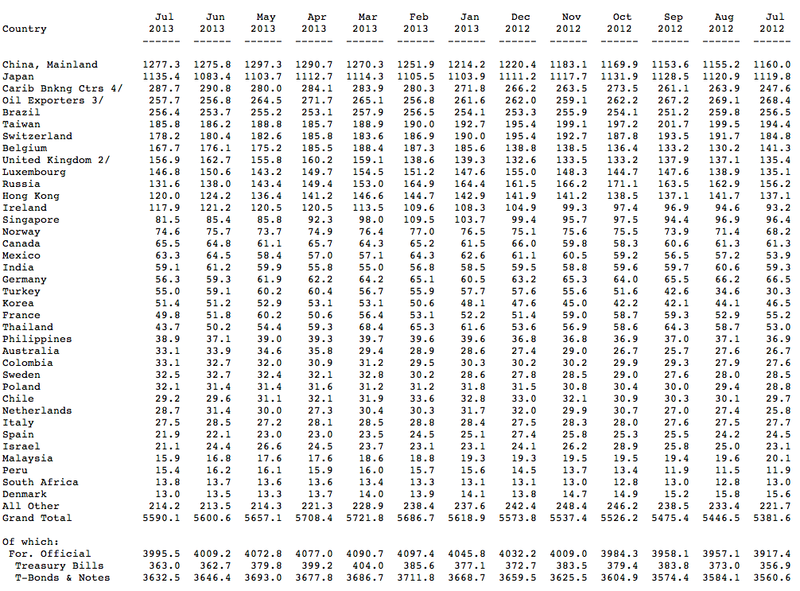 If you add in the Treasury Bills, Bonds and Notes held by the Federal Reserve, a total of $2.048 trillion in mid-September 2013, 38.9 percent of America's federal government debt is held by three parties. Currently, only 31. 2 percent of gilts are held by overseas investors, a far cry from the U.S. rate of 48.7 percent, and a rate that has been very stable for the better part of a decade. 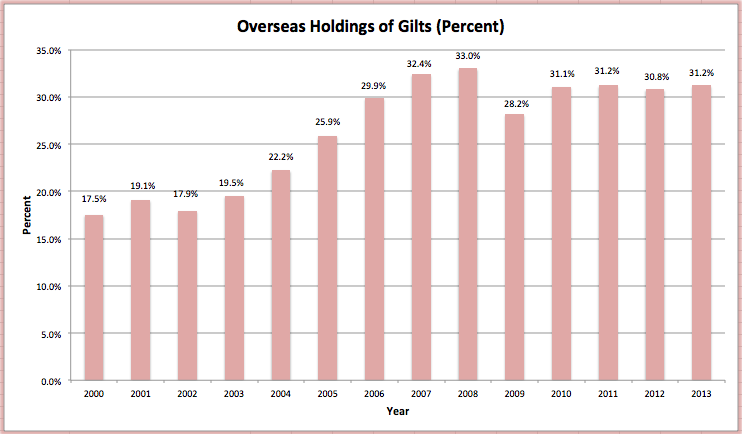 Notice that since 2010, China's holdings of Treasuries have remained more or less static when compared to the growth levels between 2000 and 2010? During that time, the total value of marketable Treasury debt grew from $8.841 trillion to its current level of $11.464 trillion, an increase of 29.7 percent at the same time as China's holdings of America's debt remained more or less static. One has to wonder whether the foreign holders of America's debt, particularly China and Japan, will eventually reach a final point of frustration because of the ongoing political intransigence over debt negotiations and the seemingly endless rise in the debt level itself. 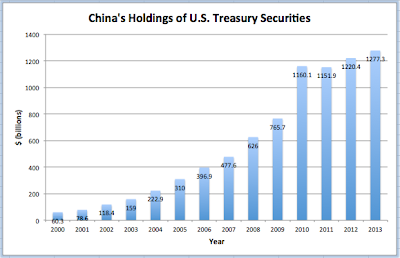 With China now controlling 11.1 percent of all outstanding Treasury securities, they could easily put a great deal of pressure on the current or future Administrations on various key economic and diplomatic issues. I'm no expert by any means but would it be possible that if China and Japan have their fill that other Nations maybe India and Brazil pick up the slack and buy what China and Japan will not? 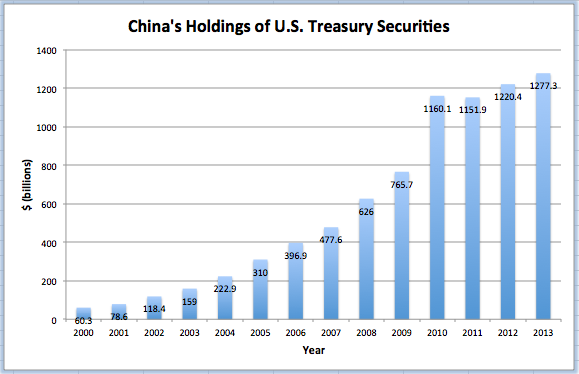 China buys to keep rates low so Americans can borrow to buy there goods. Japan buys to offset its own printing of the yen in an attempt to make Japanese products cheap reletive to China. My point is, they buy because they want and need to.